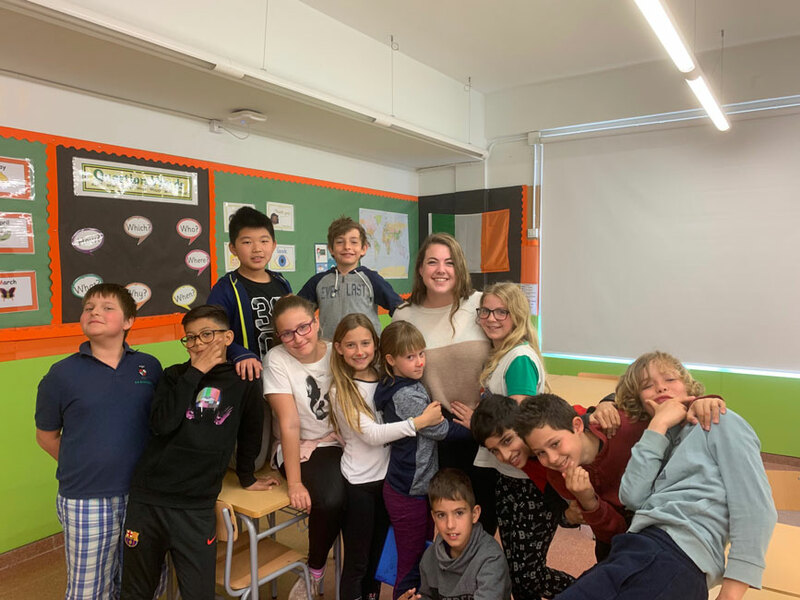 Caroline Maggio with some of the students she has worked with while studying at Quinnipiac University. 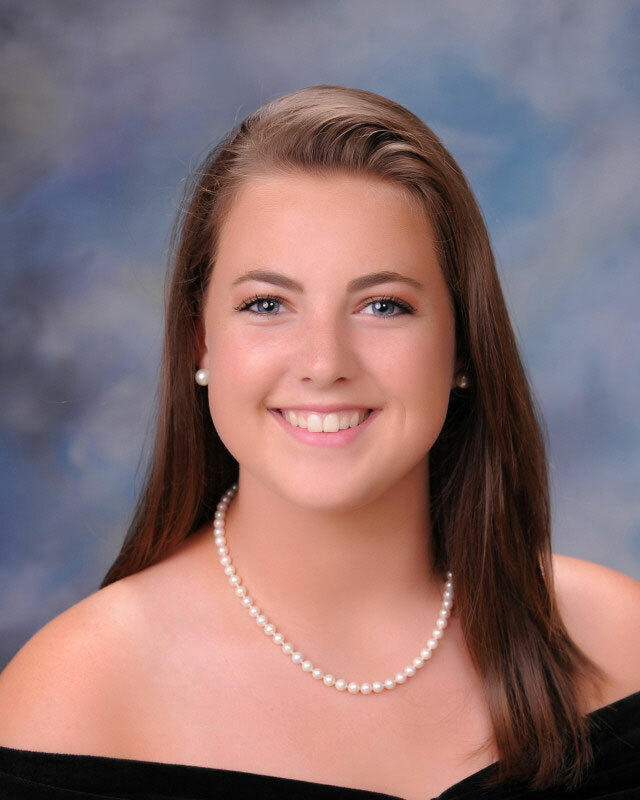 Caroline Maggio as a Huntington High School senior. 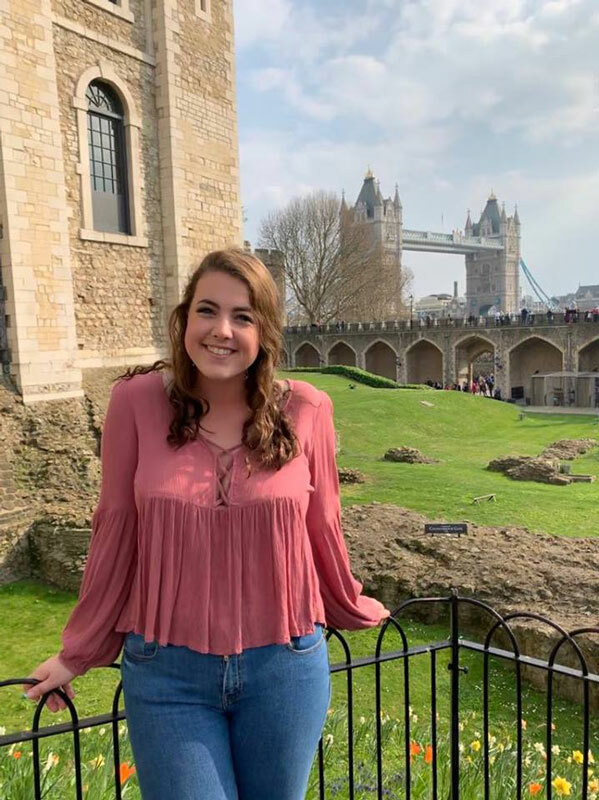 As a Huntington High School senior, Ms. Maggio participated in a full year credit-bearing career internship with social studies teacher Peter Crugnale. It further whetted her appetite for a career in education. 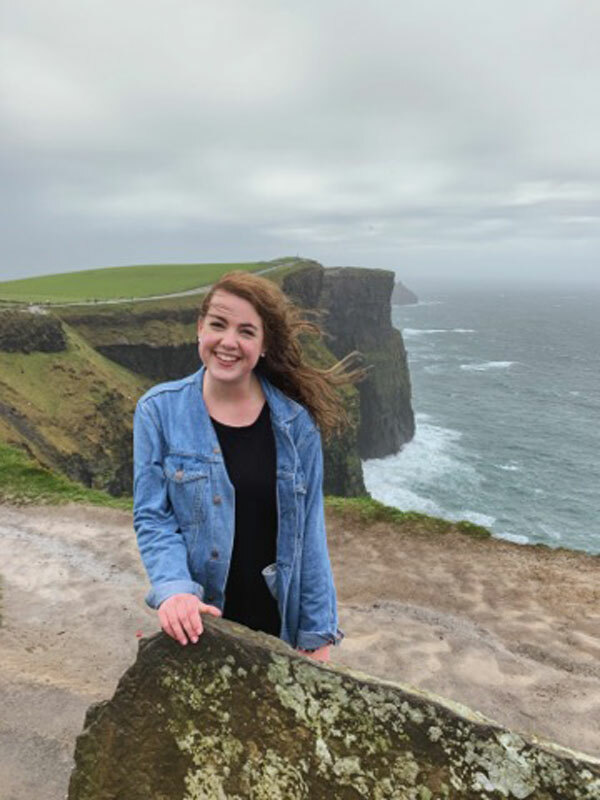 Ms. Maggio has visited Amsterdam, Rome, Budapest, Dublin, Paris, Athens, Santorini and London, as well as traveling throughout Spain itself. 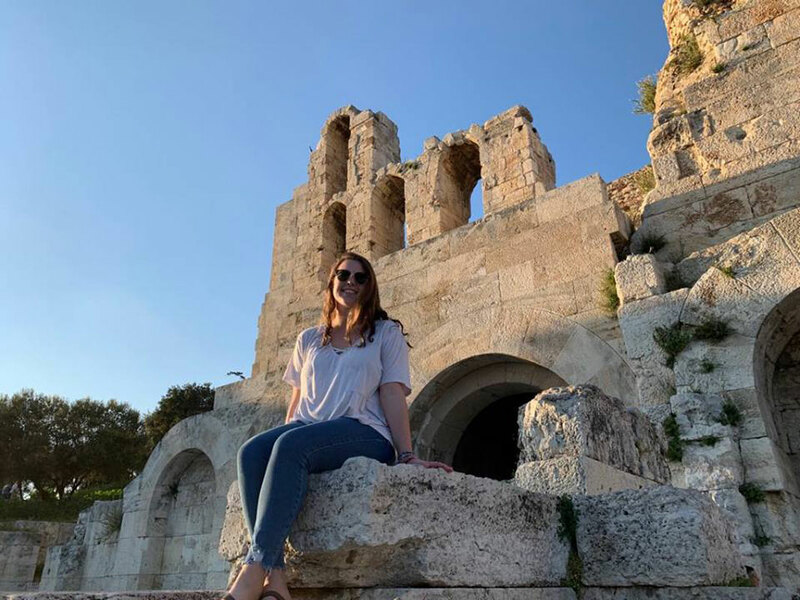 “As a history major, seeing the sights where so many significant historical events took place was incredible and being able to share my firsthand experiences with my future students is something I’m really looking forward to,” she said. The Huntington grad is carrying an academic major in history and a minor in Spanish. She’s a member of the women’s sorority Delta Delta Delta (also known as Tri-Delta) and the Quinnipiac Future Teachers Organization. To say that her time in Spain was valuable would be a gross understatement. Caroline Maggio has had an opportunity to do lots of traveling while in college.